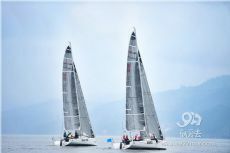 2018 Fareast 28R World Championship kicked off at Fuxian Lake, central Yunnan Yuxi City on Oct. 10. About 150 athletes participate in the five-day event. They come from 14 countries, including China, Thailand, Japan, the Philippines, Singapore, Australia, Denmark, Germany, Netherlands, Russia, Sweden, Turkey, the United States and South Africa. Directly supervised by International Sailing Federation, the 2018 Fareast 28R World Championship is a game featuring Chinese elements. 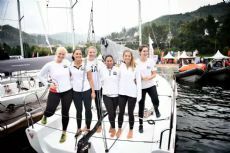 he championship aims at promoting sailing and enhancing communication between participants from China and the rest of the world,� said Du Yingying, director of Fareast 28R World Championship Association. The first match was held on Oct.10 between Team MMXV from Denmark and Full Women Team from the United States. 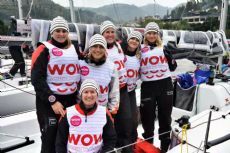 Athletes from both teams said the water quality and climate of Fuxian Lake are very suitable for sailing and they believe the competition is going to be a perfect experience. Fuxian Lake is the second deepest lake in China and also a famous tour destination in the country southwestern province of Yunnan.